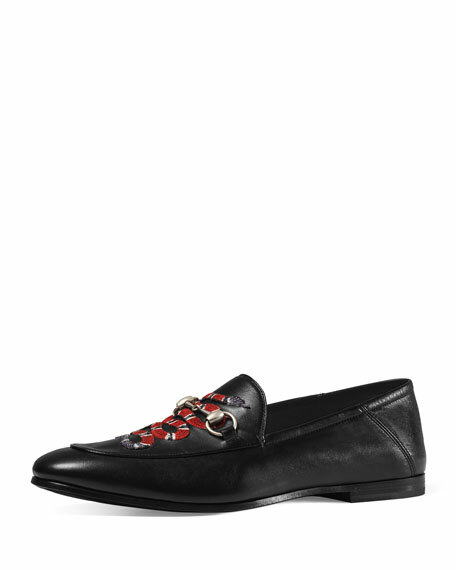 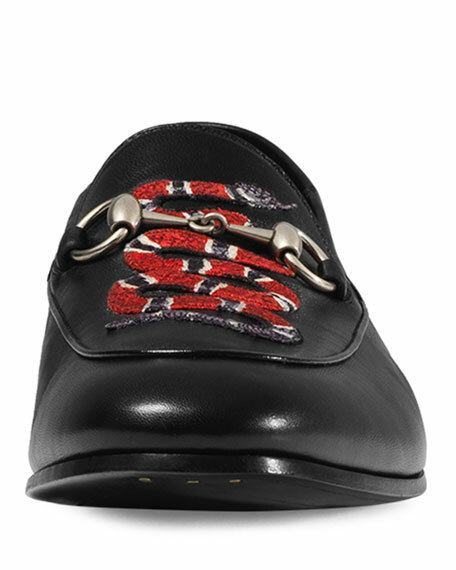 Gucci "Brixton" soft leather loafer with embroidered snake appliqué. 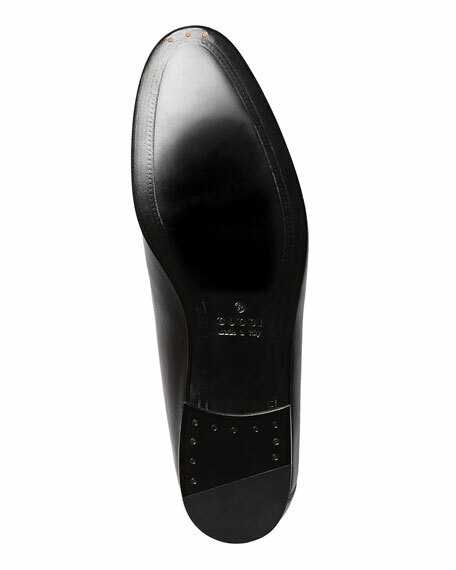 Back heel detail in supple leather; designed to be worn with heel folded down. 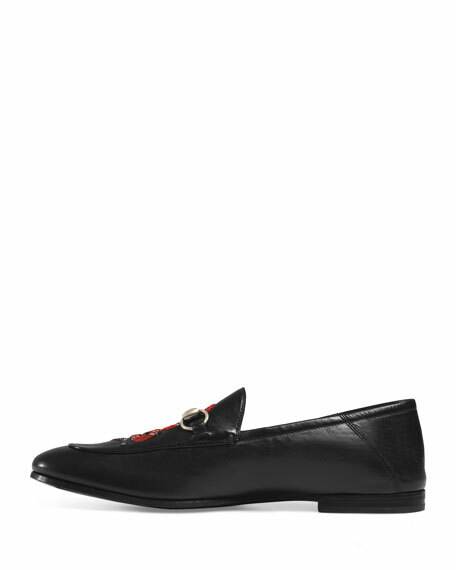 For in-store inquiries, use sku #1781708.